Anyone who’s had a medical operation knows that it can be such a source of pain. Traditional surgical procedures are invasive in nature, causing certain amount of trauma to implement a course of treatment. Many internal complaints require long incisions that take time to heal, not to mention an increase in the chances of infection. Rather than offer a quick remedy for an illness, the patient is left to recuperate on his sickbed for a period of time. However, latest advancements in medical technology allow individuals to opt for a less traumatic approach to their care. The introduction of robotic surgery easily avoids all the complications brought about by most operations. 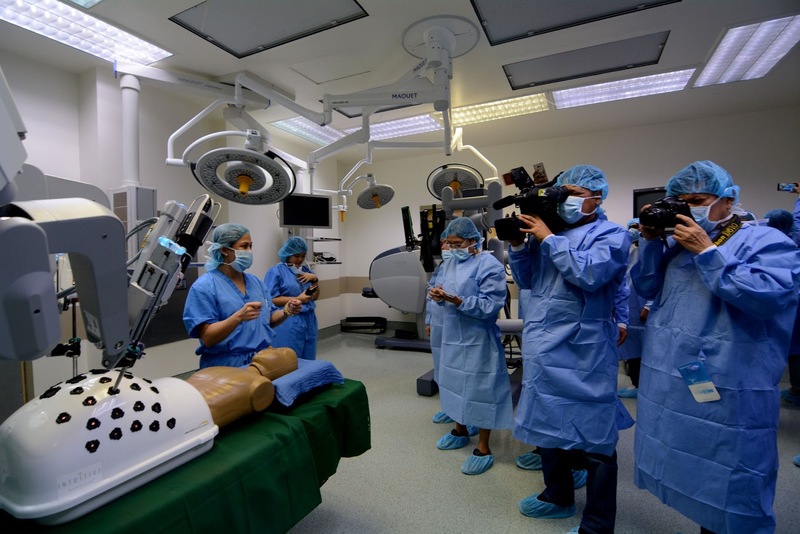 Now hailed as the future of surgical procedures, The Medical City (TMC) has been offering robotic surgeries since 2010 for procedures that target difficult and hard-to-reach areas. This signals its position as one of the most technologically advanced health institutions in the country, at par with leading centers in the world. Doctors at The Medical City have been using this innovation for urological, colorectal, and gynecological procedures, which focus on sensitive parts of the human body. Dr. Julius Cajucom, TMC Urologist and head of the Robotics Surgery Program of The Medical City, says prostate surgeries target a “tight area” in the body. “The degree of difficulty is so great,” explains Cajucom. “The area is very tight, and movements are so limited.” The use of the robot makes the operation in the said areas more convenient and easier. The advantages of robotic surgeries are manifold. Compared to open surgeries, it only makes tiny incisions on the patient’s body where holes are made, as in laparoscopic procedures. Through these holes, the arms of the machine are inserted to perform the needed operation within the patient’s body. The doctor operates the robot through a console that allows him to see the inside of the patient without having to open him up. Since the patient has smaller incisions, the chances of infection from external causes are minimized. “It is less traumatic, less bloody, causes less pain post-operatively, and promotes faster recovery,” says Cajucom. Likewise, Dr. Kristine Katimbang, TMC Robotic Gynecologic Surgeon, says robotic surgery is beneficial for many gynecological procedures, such as hysterectomies, myomectomies, and excising ovarian cysts, endometrial cancer and cervical cancer. Katimbang adds that many patients who undergo robotic surgery leave the hospital in just a day or two. The Medical City has highly-qualified personnel to perform robotic surgeries, from doctors to nurses. All of them trained with the leading health institutions abroad. While the procedure is presently available for urologic, colorectal, and gynecological operations, Katimbang says it can also be utilized for head and neck, trans-oral, thoracic, and vascular surgeries. Patients no longer need to fear surgeries and their after effects on their bodies with robotic surgery. Robotics surgery provides an alternative to both traditional open and conventional laparoscopic surgery, putting the doctor’s hands at the controls of a state-of-the-art robotic platform. It enables physicians to perform even the most complex and delicate procedures through very small incisions with unmatched precision. For more information about The Medical City’s Robotics Program, you may call the Department of Surgery at 9881000 or 9887000 ext. 6288 or visit themedicalcity.com. It was such a nice to attend an event who featuring about family, especially with regards to our beloved mothers. I personally touched on how Great Image showcases their love of our mothers together with the Make Your Mother Proud Foundation. Who among us did not care about the person whom give us life? For sure guys, you know what I mean. During the event, I get a chance to view the exhibits of the finalist. It was stunning and very heartwarming tribute to all mothers. At first glance, I know the entry of Nanay Emilia and her daughters would be in the spotlight. I love it and very inspiring. I made a poll during that day and ask my blogger friends about who's their favorite and it seems like the most favorite. No wonder, it becomes the grand winner! There are also some special guest like Michael Pangilinan, Bryan Termulo and Sitti Navarro, who serenade the audience with their special performances and of course, the Make Your Nanay Proud Foundation's founder Mr. Boy Abunda. The #MeetMyNanay was so amazing, touching and very inspiring. I hope that will continue about this. Below is the video and the full story that defines the bonding moments between Nanay Emilia and her daughters, the Mortega sisters. 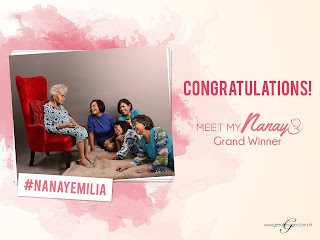 Watch their #MeetMyNanay real story. I know the fact that not everybody can run a race to help promote an advocacy. And so the ANCOP WALK was born from the effort of ANCOP Canada. Organizing a walk event for twelve years now. Where people of all ages and from all walks of life can participate in raising funds for education and likewise create an awareness about ANCOP. ANCOP is Couples for Christ's work with the poor initiative. This year, the ANCOP Global Walk returns to the SM MOA, hoping to triple that initial number, targeting the 100,000 walkers who will send 2,000 scholars to school. Everyone is invited to join the ANCOP Global Walk. Even your family pets can be registered too! The ANCOP Global Walk will be held in Metro Manila at 4:00 AM on August 14, 2016 at the SM Mall of Asia grounds, Pasay City. 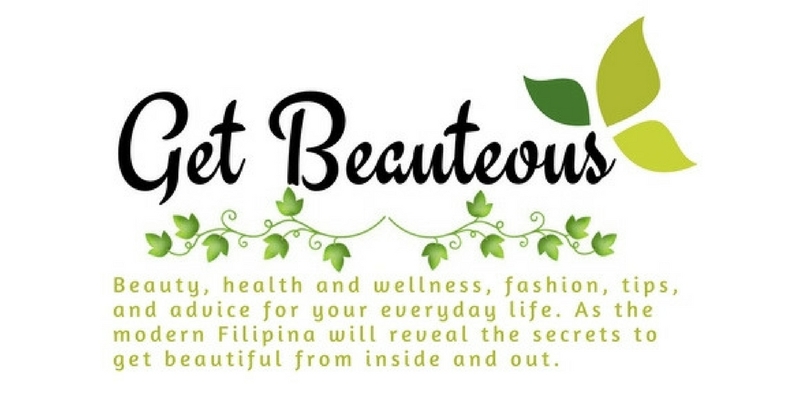 Registration is at Php 300. Simultaneous walks in major cities in the Philippines, the USA, Canada, and Australia, among others, will also happen on the same day. So if you're looking for an event to join that isn't a marathon and help a cause at the same time, why not try the ANCOP Global Walk.